To create good ads and content, you have to know your audience and environment where you publish them. To understand their behavior, you need to measure them somehow and then analyze the results. Otherwise you may end up creating many ads and content, but the investment will hardly (if ever) pay off. Just use Google Analytics. Google Analytics will manage all your data work and help you to build a complete picture of your website performance and related ads. Then you can optimize them to drive more traffic to your website. You will get a unique and detailed insight into the activities on your website. You will gain deeper understanding of your visitors and figure out what to improve to convert them into your customers. If you are worried about this tool, we have created a series of blogs about everything you need to know about Google Analytics. We will introduce you in total five features this tool offers you to make your work easier – real-time, audience, acquisition, behavior and conversion. At last you will realize that Google Analytics is the right choice to develop your business. Let´s start with the very first feature – the real-time report. When you choose “Real-time” on the left sidebar menu, you will obtain access to the real-time data. 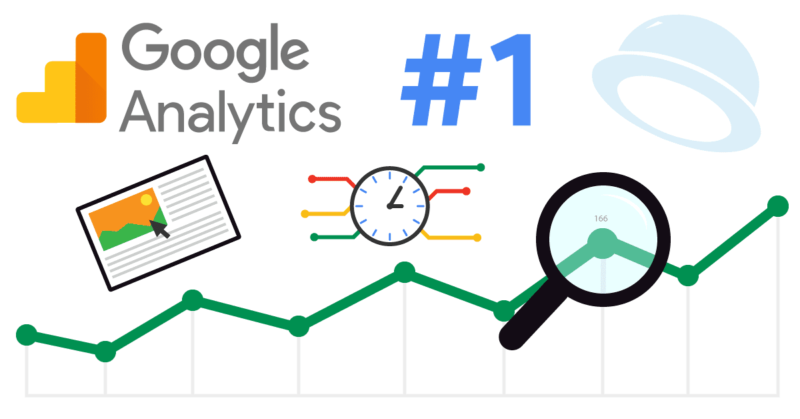 Google Analytics monitors the activity on your website and processes it immediately, so you can see what is happening on your website at the moment. What can you observe in this report? Based on the real-time report you may learn about the visitors currently visiting your webpage. You see what country they come from. Then you can adjust your content or targeting of your ad, if you want more people from other locations to visit your webpage. You can also see the traffic source. Did they discover the webpage thanks to the ad or did they type your URL directly? You will see whether your ad investment pays off. If there are little people entering your webpage through an ad, you should consider optimization. The issue may be related to the content or targeting. The report will also show you, what the visitors are interested in – where they are found the most often and how much time they spend there. Once you know what your visitors are interested in, you can focus more on that in the future, or delete the content that does not attract your visitors. At last you can observe the conversions in real-time. For you as an e-commerce seller this is an important information. Whether your visitors are taking some actions on your site, mainly purchasing something, shapes your business and online marketing. To know how it looks like in real time is advantage for its further development. Thanks to the real-time report feature from Google Analytics you can observe the current situation on your website. You will learn when your site is viewed the most, how was the audience driven there, or whether it is purchasing something. At the same time you can react in real-time and optimize the ads or content according the current behavior of your potential clients. conversions – purchases and other actions of your customers. Quick guide to Google Analytics #3 – How do you acquire new customers? 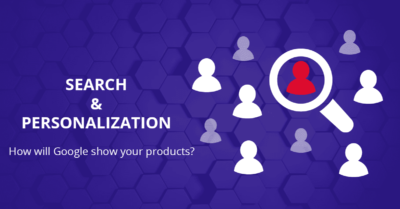 Search and personalization – how are your products displayed by Google? Why DSA still learning without impressions?